Elect Jimmie Franklin As Your LGBT Officer! - 42% of young LGBT people have sought medical help for anxiety and depression in the UK. - 52% have reported self-harm in the past and present. - 44% have considered suicide. - I will lobby for our University to provide more services to the community. - Campaign to start up an LGBT+ Mental Health Awareness Week to get people talking about depression and anxiety within the community. - I want our University to lead the way for Trans+ awareness in UK higher education. - I will lobby for a Trans+ Officer. - If elected, I intend to make sure staff members are fully trained to work with and teach Transgender students. - Canterbury lacks an LGBT nightlife and that needs to change! - With a University campus of our size, boasting five bars as of Turing College being finished, it is time we had one dedicating a night to our community. - If elected, I shall liaise with the bars on campus to establish a regular LGBT event. - If elected, I will push for more engagement with the wider community on LGBT issues. - Make sure that the Outreach department perserveres with 'Mythbusters' - a scheme set up to work with local schools in educating about tolerance and equality. - As I have previously stated, mental health is not being discussed enough within the community. To counteract this, I will set up #EverydayHomophobia at the University of Kent. - Using social media, let's encourage students who identify as LGBT to come forward and share their experiences of coming out and homophobia. - We have the opportunity to be at the forefront of LGBT awareness in the UK – this could help us get there. - To me, it is vital that transgender students are able to live comfortably and happily during their time at University! 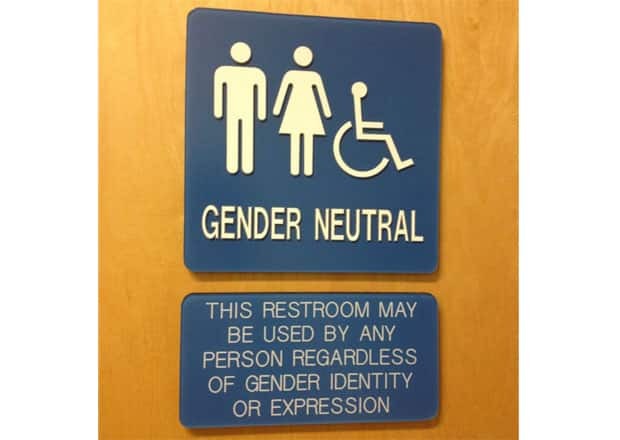 - Too often, Trans and Non-binary people in society feel uncomfortable using public toilets and can experience harassment. - This is why, if elected, I will campaign for the University of Kent to build gender neutral toilets. - In a recent study, it was found that 70% thought youth sport in the UK was not safe or welcoming to lesbian, gay and bisexual people. (www.outonthefields.com). 77% of UK participants in the study had ‘witnessed or experienced homophobia’ around sport. - I will work with the Sports VP to make sure our University is fully driven toward LGBT students feeling comfortable, happy and a part of #TeamKent. - Keep the #RainbowLaces campaign going at next year's Varsity!